An important milestone in pop and American culture. Hello everyone, we have gathered you all here today to celebrate one of the most important anniversaries in pop culture, American culture and world history. Forget the 40th Anniversary of Star Wars, and no one cares that it's been 20 years since Harry Potter was published either. 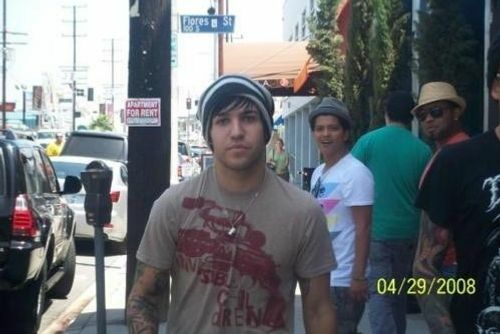 We are of course talking about the 9th anniversary of when Bruno Mars saw Pete Wentz on the street. It's the spring of 2008; Bruno Mars was surprised to see Pete Wentz from Fall Out Boy on the street and he's like "Yo, aren't you Pete from Fall Out Boy?" Find someone who looks at you the way Bruno Mars looks at Pete Wentz. Back in 2008, Pete was at the height of his fame with Fall Out Boy and Bruno had yet to release his first album. Now look at 'im. "What an odd picture. I think specifically because it’s dated but also how it almost seems posed due to everyone’s faces and demeanor. I’m a big Bruno fan and have been since he sang “Billionaire” with Travie [McCoy] … he’s such a monster in the best possible way." But there's been no official statement from Bruno about the events of that fateful day.
.@BrunoMars why were you so surprised to see Pete Wentz on April 29th 2008? But the meme-ories remain and the picture will go down in history as Tumblr's greatest snaps. What will happen in 2018 on the 10 year anniversary? A recreation? A reunion tour? 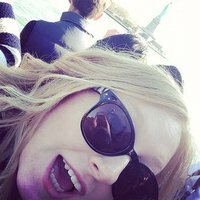 An album re-release? Happy Anniversary, you two!